There are innumerable traditions highlighting the eminent position of Hazrat Faatemah (s.a.). These traditions are reliable and documented by scholars of both schools – Sunnis and Shiah. In fact, entire books have been devoted to her status in Islam. Before proceeding with the discussion on the oppressions faced by Hazrat Faatemah (s.a.), it is worth noting some traditions that underline her stature in religion. These traditions have also been recorded by respected scholars of the Sunnis. 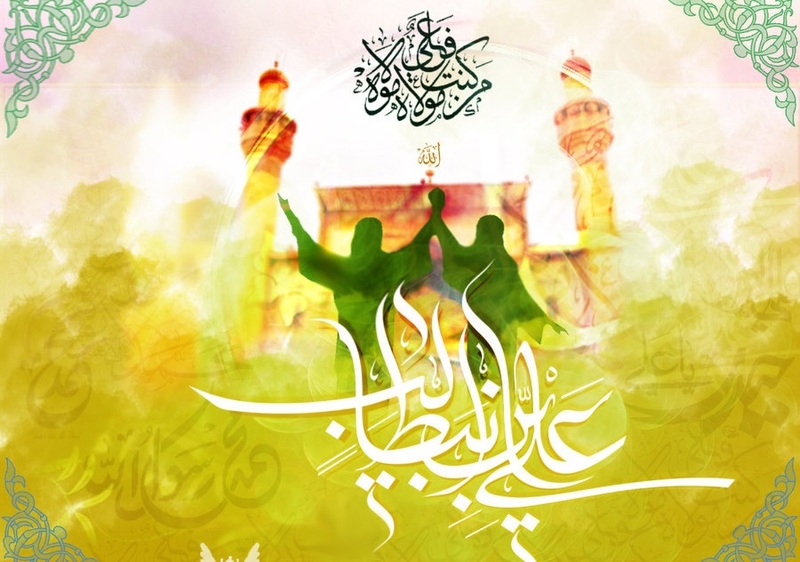 This tradition with variations has been recorded by Saheeh-e-Bukhari, Musnad-e-Ahmad Ibn Hanbal, Al-Khasaais of Nesaai, Musnad of Abu Dawood al-Tayaalesi, Saheeh-e-Muslim (Chapter of Virtues of Hazrat Faatemah (s.a.)), Mustadrak of Haakim, Sunan-e-Tirmidhi, Sunan-e-Ibne Maajah and other reliable books of the Sunnis. Based on the narration of the Prophet (s.a.w.a. 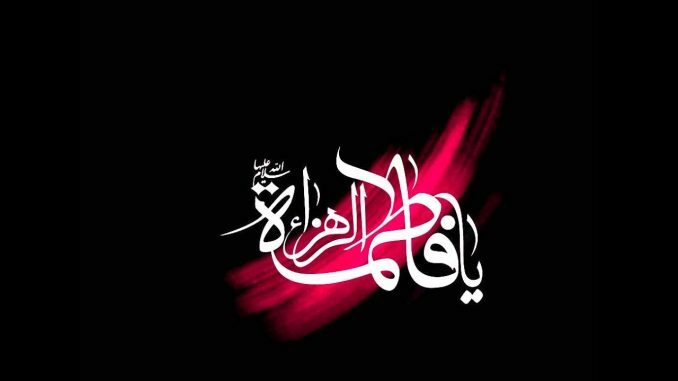 ), who only speaks on the authority of revelation, Hazrat Faatemah (s.a.) is the chief of all women from the beginning of the world till the end. This tradition has been documented with the very words in Saheeh-e-Bukhari and other books of the Sunnis. This tradition has been documented in Saheeh-e-Bukhari, Musnad-e-Ahmad, Sunan-e-Ibne Dawood, Saheeh-e-Muslim and other reference books of the Sunnis. Surely, Faatemah is a part of me, it pains me what pains her. This tradition has also been recorded by Tirmidhi in his Sunan. This tradition is correct (Saheeh) according to the criteria used by Bukhari and Muslim. This tradition is also narrated in Mustadrak and other reference books of the Sunnis. With regards to this tradition, Haakim says that the chain of narrators is correct. This tradition is narrated in Mustadrak, Isaabah and Tahzeeb al-Tahzeeb. Muttaqi Hind, author of Kanz al-Ummaal has recorded it from Abu Ya’laa, Tabari and Abu Noaim. In addition to these sources, this tradition can be traced in other reference books of the Sunnis. When the Holy Prophet (s.a.w.a.) was on his deathbed, he called for his daughter Faatemah (s.a.). He told her something in a hushed tone. This left Faatemah (s.a.) in tears. He then called for her again and whispered something to her. This time Faatemah was pleased and smiled. This tradition has been recorded in many reliable books of the Sunnis. This tradition is correct according to the criteria employed by Bukhari and Muslim (for assessment of traditions). Even Zahabi has acknowledged the tradition to be correct. The tradition is also recorded in al-Isteeaab and Hilyah al-Awliyaa. This tradition is correct according to the criteria laid down by Bukhari and Muslim. Zahabi also considers it to be correct. All the narrators of this tradition are reliable. What has been narrated so far is a preface to what will be discussed in the succeeding pages. When we analyse the events narrated then, we will refer to the traditions on the status of Hazrat Faatemah (s.a.) and Hazrat Ali (a.s.). These traditions have been recorded by the Sunnis in their books after testifying to their correctness and veracity regarding the text and chain of narrators. Among the undeniable inferences of these traditions is Hazrat Faatemah’s (s.a.) infallibility. This is further reinforced by Ayat-e-Tatheer (Surah Ahzaab (33): Verse 33) and other narrations. Moreover, many traditionalists (Muhadditheen), memorisers of Quran (Huffaaz) and reputed scholars have confessed that Faatemah is superior to the first and second caliphs. As a matter of fact, some scholars based on the aforementioned traditions, particularly – فاطمۃ بضعۃ منی – (Faatemah (s.a.) is a part of me), have concluded that Faatemah (s.a.) is superior to all four caliphs. Thus, he considers Hazrat Faatemah (s.a.) as a benchmark for apostasy and faith and relates her anger to the Prophet’s (s.a.w.a.) anger. If one takes the Laam in لانہ یغضبہ as Laam of cause (Laam-e-Ellat) then this could denote a specific cause of her anger or a general cause. It is more likely that it denotes a general cause of anger which establishes the apostasy of the person who enrages her. Hence, whatever causes Hazrat Faatemah (s.a.) to be angry also causes the apostasy of the one who makes her angry. Thus, to annoy Faatemah (s.a.) becomes a cause of the offending party’s apostasy because by annoying Faatemah (s.a.) he has angered the Prophet (s.a.w.a.). Ibne Hajar comments – It is clear from this tradition that it is prohibited to offend a person which results in offending the Prophet (s.a.w.a.). Hence any action aimed at offending Faatemah (s.a.) inevitably offends the Prophet (s.a.w.a.). And Faatemah (s.a.) is not offended at anything more than a matter involving her sons. Therefore one who does such a thing will taste the ignominy of his actions in this world and the chastisement of the hereafter is far more humiliating. Therefore this tradition prohibits one from doing anything to infuriate Faatemah (s.a.) as she is a part of the Prophet (s.a.w.a.) and it has been already established that it proves the apostasy of the offending party. قال السُبکی: الذی نختارہ وندین اللہ بہ ان فاطمہ افضل من خدیجۃ ثم عائشہ قال شھاب الدین ابن حجر :ولوضوح ما قالہ السبکی تبعہ علیہ المحققون، و ذکر العَلَم العراقی: ان فاطمۃ و اخاھا ابراہیم افضل من الخلفاء الاربعۃ باتفاق. Al-Sobki states – What I am choosing (to conclude) and pledging near Allah is that Faatemah is superior to Ayesha and Khadijah. Shahaab al-Deen Ibne Hajar says – Al-Sobki’s point being the evident truth, researchers after him have supported his point and adopted the same stand. Alam al-Deen Iraaqi comments – Hazrat Faatemah (s.a.) is superior to all four caliphs (based on the consensus of the scholars). Based on this confession, there exists no difference between the Shiah and the Sunnis – both the sects believe that Faatemah (s.a.) is superior to Abu Bakr and Umar and that annoying Faatemah (s.a.) is a cause for being relegated to hellfire. It is apparent from these traditions that there is no condition or restriction and it applies to everyone and under all circumstances. At least there is no restriction evident when the Prophet (s.a.w.a.) says – Faatemah’s (s.a.) displeasure leads to Allah’s displeasure. There is no rider in this statement that if she is displeased in such and such circumstance or with such and such criterion or if she is displeased for such and such reason. Rather, the tradition is categorical that if Faatemah (s.a.) is displeased for whatever reason, it leads to Allah’s displeasure. It does not matter why she is displeased, who displeases her, in which era she is displeased. The Prophet’s (s.a.w.a.) tradition does not impose any condition or restriction whatsoever. It is unconditional in every aspect. Likewise, there is no condition or criterion evident in the tradition – One who torments her has tormented me. It does not state, who torments Faatemah (s.a.), when and under what condition. It is unconditional. The aforementioned traditions also establish Faatemah’s (s.a.) truthfulness and it is forbidden to falsify her regardless of the matter or claim. It is forbidden to reject her claims because as Ayesha asserts in truthfulness she was next only to the Prophet (s.a.w.a.) himself. It is obvious that the Prophet (s.a.w.a.) was aware of what was to transpire after him. He narrated numerous traditions of such nature so as to make the people aware of these issues and forewarn them. According to certain versions of the tradition, Ayesha found it hard to accept the secret discussions between Holy Prophet (s.a.w.a.) and Hazrat Faatemah (s.a.). The salutation on the Prophet (s.a.w.a.) in the books of the Sunnis from where we have derived our references is incomplete. We have mentioned the salutation as per the Prophet’s (s.a.w.a.) tradition. Saheeh-e-Bukhari, vol. 4, pg. 183; Saheeh-e-Muslim, vol. 7, pg. 142; Mustadrak, vol. 4, pg. 272; Musnad-e-Ahmad, vol. 6, pg. 282. The tradition has been summarised in Sunan-e-Tirmidhi, vol. 5, pg. 369.